For kids still in middle school or just entering high school who have a passion for playing baseball, there may be opportunities to get an athletic scholarship if you have the right potential. However, there are many things that can go wrong, which can create missed opportunities in landing an athletic scholarship. 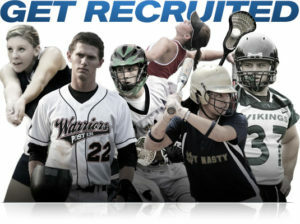 This is where professional recruiting sites can help, allowing kids with real potential to get recruited for baseball. Why Choose a Professional Recruiting Site? You may feel that professional recruiting sites are a waste of time and money when parents can do the work. However, it’s not just sending out videos or attending certain camps, there is a lot more to providing your child with the best chance to get an athletic scholarship for their baseball talent. Experience: The people that run the best-recruiting sites have years of experience in evaluating talent and the potential of all athletes. This is vital because many parents make the mistake of aiming their efforts at colleges or universities that have little to no interest while missing opportunities that might get their child an athletic scholarship. Networking: As in most professions, it’s not just what you know, but who you know that really counts. The best-recruiting sites have solid networking relationships with all colleges and universities so that they can place the right videos and information in the hands of the right people. Having an inside track makes all the difference for making the most of your child’s chances of getting an athletic scholarship. Opportunities: Keep in mind that even the best efforts of the finest recruiting sites may not get your child an athletic scholarship in baseball. However, there are other opportunities to reduce college tuition that might be offered if you know where to look. For example, while Division III schools do not offer scholarships, they do offer tuition breaks for many athletes that can really reduce the amount needed to be paid. Plus, if your child is academically inclined, colleges and universities look favorably on those who might be able to earn a different kind of scholarship for their off-the-field efforts. There are many ways in which college tuition can be reduced and this is where recruiting websites can help. This is why so many parents choose Sports Force to assist their child in the recruiting process. For those with talent enough to receive an athletic scholarship, the best way to get recruited for baseball is to trust in a company with an outstanding reputation and track record. Utilizing its deep connections and networking ability in the college market, Sports Force has helped over 1,000 student-athletes get scholarships and can ensure that the right coaching staffs see your child’s talents. Not only can SportsForce provide the right path towards obtaining an athletic scholarship, but we can also offer alternative means of reducing tuition costs, which helps a student-athlete in completing their education. Don’t wait, contact SportsForce today and find out how your child can maximize their opportunities for getting a baseball scholarship with a Free Evaluation. Are Sports Recruiting Websites Necessary… Or Just A Waste of Money? It’s a question that many parents ask when they have a son or daughter who is excelling in a sport while in high school. If they can reach out to colleges and universities themselves, then what good are sports recruiting websites? On the surface, it’s certainly a logical question. However, the process of getting an athletic scholarship is not an easy due to the fact that many students are competing for the same positions across the United States. There are good reasons to have a professional recruiting company by your side when going through this complex process. It’s all about how to reach the right people the right way in order to maximize the chances of your son or daughter getting an athletic scholarship. Evaluation: Your son or daughter will be fully evaluated so their talent can be properly assessed. This is arguably the most important step because it will determine what level of college schools they should be marketed to in order to maximize their chances of a scholarship. Experience: The knowledge and experience that recruiting websites bring is invaluable when it comes to making the most out of your son or daughter’s abilities which can help get them a scholarship. This means knowing what tournaments to participate in, how to market their skills, and what schools to target for success. Marketing: The good news is that there are several avenues to properly market the skills and abilities of students who are seeking athletic scholarships. From creating highlight videos and placing them on YouTube to attending special tournaments and sending direct messages through email or social networks, recruiting websites have managed to master the means of letting the right people know about your child. Networking: All the marketing efforts in the world will not help unless you know how to reach the coaching staff. The best sports recruiting websites have the inside track to reach the right people so that your child will be seen. This insider approach does not guarantee success, but it does mean that students will be given the best chance at success. Low Cost: When you consider how much money you save when your child gets an athletic scholarship, whether full or partial, the cost of having a professional team by your side is a mere fraction. Plus, the full services will only be used for those who show solid talent that coaches are seeking, so your time and money will not be wasted. For parents, it’s all about finding the right recruiting websites that have the best professionals who are knowledgeable and skilled in getting results. Is SportsForce The Right Fit For You? At SportsForce, we don’t just take money from anyone like most other recruiting sites. Instead, we evaluate the realities of a student athlete and offer the best in evaluation, marketing, and networking services to those who are most likely to play at a college or university. Our professional staff has many years of experience evaluating talent, providing sound advice, guiding athletes to improve their abilities, and marketing their skills to the right higher institutions. As a result, we’ve helped over 1,000 students get recruited successfully into college. When you consider the number of high school students who play baseball and the number of athletic scholarships available, the chances of landing this type of scholarship may seem slim. The truth is that only a fraction of those who play in high school will obtain an athletic scholarship to play baseball in college. Understanding how to get recruited for college baseball starts with a professional organization that provides evaluation, guidance, and proper marketing to maximize your chances of success. While many parents take it upon themselves to try and find the right college or university for their child who plays baseball, most do not have the knowledge or experience to know where to go or how to properly market their child’s abilities. A professional recruiting organization offers professional evaluation, marketing, and locating services, which give you the best chance at landing a scholarship. Your Talent Level: Everything starts with a proper evaluation of your talent level and abilities on the diamond. An in-depth evaluation by professionals with an eye for talent will let you know where you stand and what level of schools are best to focus your attention. Where to Go: The first step is evaluating your child’s abilities on the baseball field. Of the many thousands who play baseball, a select few are recruited directly into the major leagues and only a small number make it to Division I schools. However, there are ample opportunities at Division II and Division III schools that are looking for quality athletes. Preparation & Marketing: The good news about getting noticed by college and university coaching staffs is that there are baseball tournaments and competitions that they attend. By participating, you are allowing these recruiting coaches to get a good look at your abilities. Combine that with an effective marketing campaign that includes a short highlight video that shows off your talents, letters, and emails to the right colleges and universities, and working in the off-season to improve your abilities to make the best impression possible. All these efforts, when pulled together can offer you the best chance of landing an athletic scholarship. Keep in mind that there are other ways to help fund your dream of going to college and when combined with your talents on the baseball diamond may lead to success. A professional recruiting website like SportsForce offers all these services which are guided by years of experience in working with young athletes so they can play baseball in college. At SportsForce, we can help you get recruited for college baseball thanks to our professional staff that offers their knowledge, experience, and proven methods that ensure you have the best chance possible for a scholarship. We have helped many students take the right path towards getting scholarships through our evaluation process, marketing, and networking abilities. For students who want to play baseball in college on an athletic scholarship, click HERE to get a free evaluation. Can College Athletic Recruiting Websites Really Get Me A Scholarship? For students who are just entering high school, the time to start preparing for college is right now. Coaching staffs at colleges and universities start their search for talent at the freshman and sophomore levels. By the time a student reaches their senior year, they will most likely have been evaluated many times and their chances at getting an athletic scholarship is set. Unfortunately, many parents are not aware of the process that college and university coaching staffs use to find the right talent for their programs. This means that for many students who have the right potential, they are not finding the places where they have the best chances of landing an athletic scholarship. Because there are relatively few athletes who excel so well they seemed destined for scholarships, many parents believe the same is true for all those who show talent in their field. Unfortunately, that is not the case as so many are simply not seen because they are not in the right place. Talent: Every parent sees the best in their child in every endeavor. Unfortunately, many of them do not compare what they see to the competition that is out there for athletic scholarships. So many parents push for Division I schools that they overlook the opportunities at lower level programs where landing a scholarship is easier. This means that loads of kids are missing out on valuable opportunities because they are aiming at the wrong places. Starting at the Right Time: College and university coaches start their search for talent when students enter high school. Basically, to maximize the chances for success, students must not only excel in their sport, but also participate in tournaments, camps, and sessions where coaches are present. For those who wait until their senior year, it’s usually too late, which means that they have missed out on the opportunities available to excel when they were freshmen and sophomores. Marketing: It takes more than just playing well on the field or court, your child must be seen by the right people for them to stand a chance at landing a scholarship. Today, thanks to the internet, social media, and the many connections they provide, marketing your child’s abilities is easier than ever, but still, most get lost because they are never seen by those who make the decisions. At Sports Force, we have proven ourselves to be one of the best college athletic recruiting websites by helping over 1,000 kids get scholarships. Our professionals have many years of experience in evaluating, promoting, marketing, and building networks so that students stand the best chance of landing an athletic scholarship. This is why SportsForce has become one of the premiere recruiting sites that helps high school athletes realize their dream of playing at the college level. If you have a son or daughter entering high school with a talent for a specific sport, we can help them in their quest to play at a higher level. Let us help you make the most of your child’s chances of getting an athletic scholarship by applying for a free evaluation here. The two most important measures of whether your child can earn an athletic scholarship are having superb talent and superior grades. However, as important as those two measures are, they are often not enough for many students to get a scholarship because they have not been seen by the right coaching staff. This is where sports recruiting websites can help your child get seen by the proper people to maximize their chances of success. The first step when joining a sports recruiting website is the assessment of your child’s talent. This will help determine at which level they are best suited to excel. There are many opportunities at Division II and even Division III level to play along with the NAIA. By understanding their potential, a recruiting website can aim their efforts at the right schools. All these steps will help in getting your child noticed by the right people. Keep in mind that there are many factors which help coaching staffs decide on which athletes are right for their program. This means that some may show interest, but they may have other players in mind. In this regard, the right recruiting websites will keep expectations realistic. This can be crucial as many parents have given up once some colleges passed up their children while overlooking other institutions that still had a strong interest. This is where the knowledge and experience of a professional sports recruiting site can be most helpful. They will take every opportunity to help you stay in touch with the colleges or universities that have shown interest so that you never get discouraged. Keep in mind that being strong academically has a powerful influence on coaching staffs that are looking for the right talent for their teams. This opens the door to academic scholarships and other financial support that can really help, especially at Division III level where financial opportunities can help pay a significant portion of the tuition. Plus, the better they do academically, the more likely they are to succeed in school which is what college and university coaches want. At Sports Force, we have the knowledge, experience, and connections to provide your child with the best chance of landing an athletic scholarship. SportsForce takes the complete approach in helping your child improve their skills and get seen by the right people. 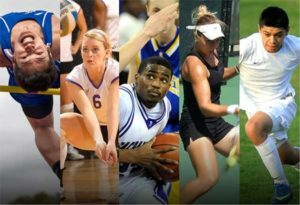 If your child has demonstrated their skills on the field or court, you should take every step to see if they can earn an athletic scholarship by working with a reputable sports recruiting website like SportsForce. For a free evaluation just click HERE.